Remember that we have our monthly celebration at Fábrica La Aurora every 1st Saturday of every month. In this events you can see new openings in almost all the galleries and enjoy live music around our cafeteria area. 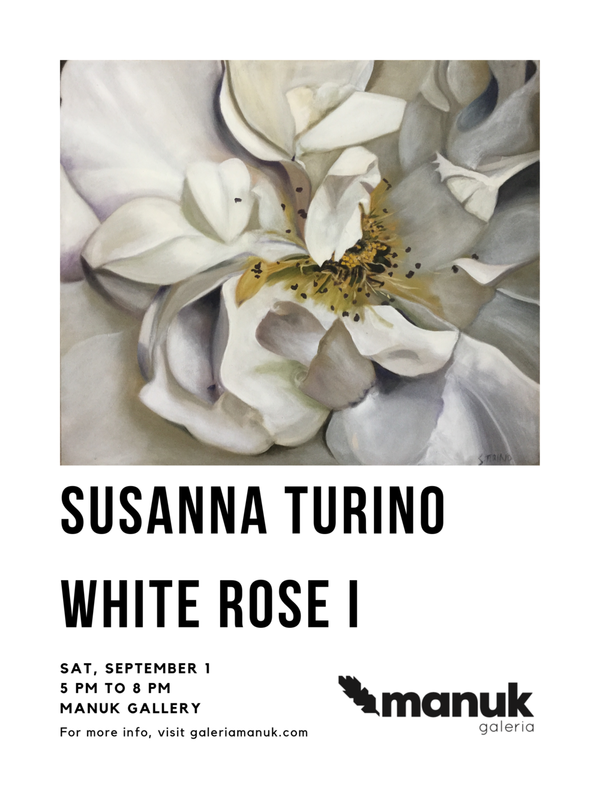 As part of our exhibition "Gardeno" we included new paintings from the artist Susanna Turino. Who uses the form of flowers and transforms it into abstract forms with light colors. Huge succes at the white party. Spending good time with friends enjoying the music and admiring art from different artists. Those who came hope you enjoyed your time at the gallery and those who missed the party, hope you can come next time. Join us every 1st Saturday of the month for our monthly Art Walks at la Fábrica la Aurora. The #ArtTourSMA is a new concept of tours in which the art offer is promoted in San Miguel de Allende taking the people to Galleries and Art Studios where there is good art and original. In each gallery and art studio you will meet the artist and he / shewill talk about their creative process, during the tour there will be catering service and transportation.